Have you always wanted the benefits of chiropractic, but been concerned it may require strong forces or twisting? The PulStar uses a handheld impulse head containing sensors and is connected to a sophisticated computer program. 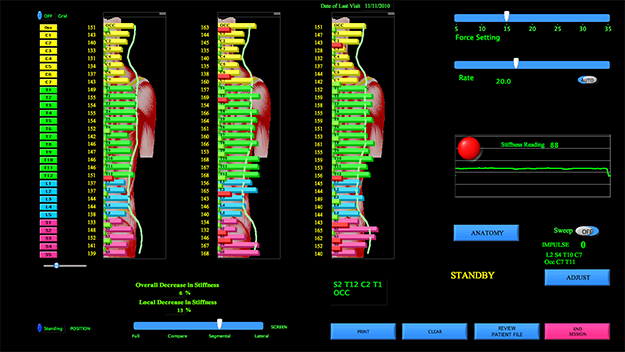 Each spinal joint is analyzed for proper function and then displayed as a graph providing both Doctor and Patient precise information regarding joint function. This data, along with other clinical information obtained from the patient history, examination, etc. is used to determine the most effective course of treatment to obtain the best results in the shortest period of time.